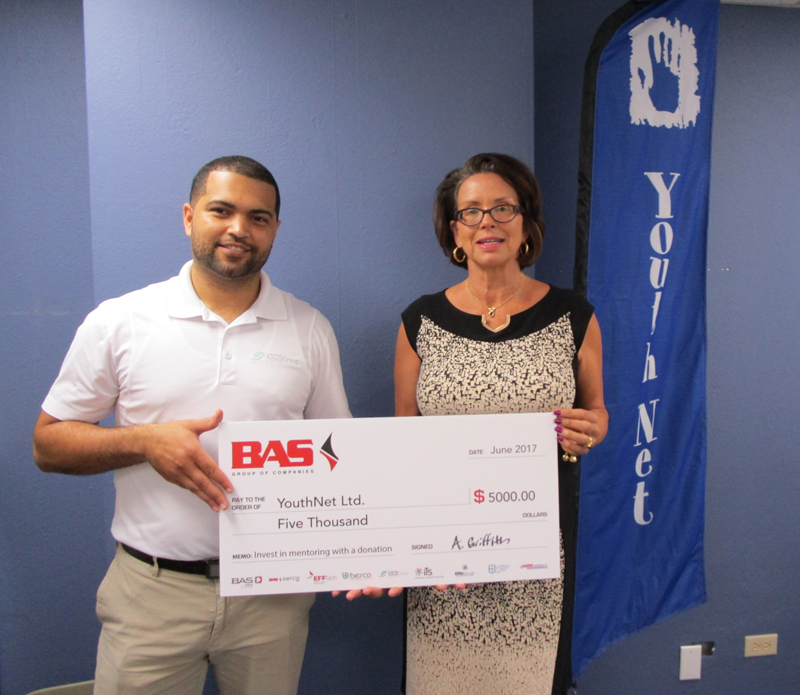 Bermuda Aviation Services Limited [BAS] today announces a donation of $5,000 to youth mentoring charity YouthNet. Chris Phillips, a representative of BAS, was on hand this morning to present a cheque of $5,000 to YouthNet Executive Director Clare Mello as part of the BAS Group Corporate Social Responsibility Programme. The donation will go towards supporting YouthNet’s school-based mentoring programme. YouthNet, a registered Bermudian charity, aims to develop a new generation of responsible and educated members of society through improved literacy and mentoring. The charity seeks to pair students with mentors and promote opportunities for young people to thrive through positive relationships.